Seemingly coming out of nowhere, The Lockhearts blasted onto the Australian rock scene in 2013, becoming one of Sydney’s hottest new rock bands. The Australia-based rock quartet debuted their first song Freakshow on MTV, where it has run in high rotation, peaking at #2 on the MTV Hit Charts, and sitting in a prime spot between artists like Katy Perry and Beyoncé. Freakshow was directed by Tanzeal Rahim, an internationally award winning writer and director most famous for writing and directing the horror film Muirhouse (2012). The band also scored a non-stop, every Tuesday night gig at Ziggy Pop Spectrum on Oxford St in Sydney, where they’ve played since April 2013. They’re signed to Sunday Morning Records, and have plans to release new music every few months. But maybe they didn’t really come out of nowhere. They had humble, normal band beginnings, and some luck on their side. The Lockhearts’ lead singer Tim Meaco was dressed in a pair of “very tight jeans” (as he called them) at home in Sydney watching an episode of Community. 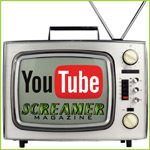 He sat down to answer some questions from Screamer Magazine via email, telling us about their bout of success in the music world, and the band’s beginnings and plans. Meaco says they’ll continue to play their Tuesday night gig in Sydney, but they plan to hit the road at some point this year and play new places. Keep an eye out. 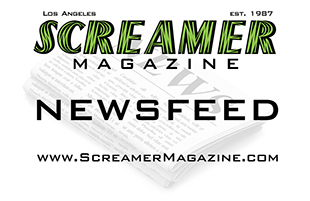 Our tell all article with Screamer Magazine all the way from Los Angeles, California.